The 108 students of the Summer English as a Second Language Academy (SESLA) were excited last night to unveil the new expansive mural they painted as a gift to Scarlett Middle School. Local artist Mary Thiefels, who was one of six artists who held workshops for the students during the three-week academy, said the mural will be a gift for decades to come. Thiefels took their ideas, drew the design, had it approved, before the students then painted it in acrylics. 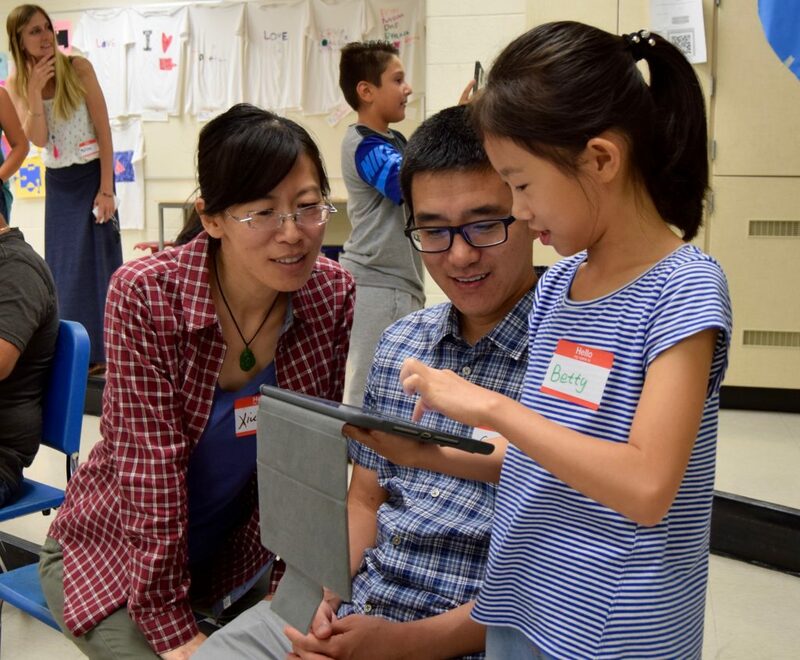 Earlier in the evening, students were excited to share with their parents what they’ve learned at SESLA this month, where the focus was art, identity, and social activism. Lead teacher Katie Gibson said the academy is empowering for students.